Beer is an important drink in many people’s lives and arguably an essential part of college. It is affordable for college students which lends to a rather large part of its appeal. I love a good craft brew, but I also can’t deny my love for one-dollar mug specials at Rusty’s. Which, by the way, is also cool because of its sustainability with mugs than can be reused. If the hurricanes aren’t scary enough, the effects of climate change could lead to a worldwide shortage of beer within the next 80 years. This would significantly increase the price of the cheap drink that is so integral to college culture. This is something most of us can agree is terrifying, no matter our differing stances on the environment. By projecting heat and drought trends over the coming decades, a team of researchers in China, the U.K. and the U.S. found that barley production could be drastically affected by climate change within the next 80 years, according the journal Nature Plants. This means that some parts of the world would very likely be forced to pay substantially more for a beer. While this may be one of the least catastrophic outcomes of a looming climate disaster, the threat has certainly gotten people’s attention, including mine. Dabo Guan, one of the study’s lead authors and a professor of climate change economics, said that as a result of climate change, “The majority of countries will have a decline in barley.” There will be differences in the severity depending on location. The study projects that Australia, China, and the United States will actually produce more barley in the coming future, but not enough to offset a global decrease. On average, global barley yields will decline by about 17%, depending on the weather, according to the study. The study says that in the worst-case climate scenario, beer prices globally would approximately double, while global beer consumption would decrease by about 15%. 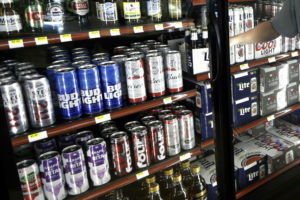 Drinkers in Ireland, Canada, Poland and Italy are likely to see an even higher price increase, according to the report. Belgium and the U.K., countries that are known for their love of beer, are also in the top 10. The United States would likely see a 20% reduction in beer consumption and a 50% price increase per bottle if climate change continues at the rate it is going, according to the study. NextShould Ex-Felons Have the Right to Vote?